Interfolio Review, Promotion, & Tenure keeps a record of all actions taken on a case including when a case is moved to a different review step, when documents are shared, when messages are sent, changes in the status of the case, when the membership of the committee is changed, when external evaluations are requested, and more. 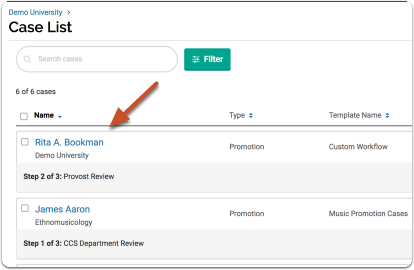 Administrators can view this information in the chronological "Activity Log" of all activity on a Promotion & Tenure case. 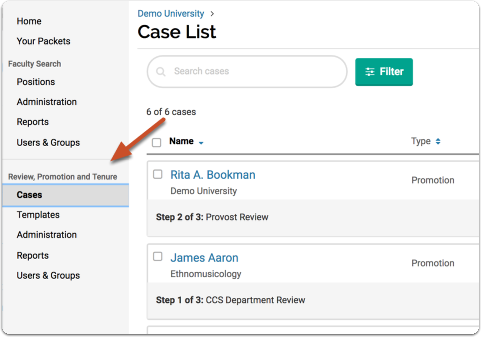 The Activity Log is accessed from the Case page. 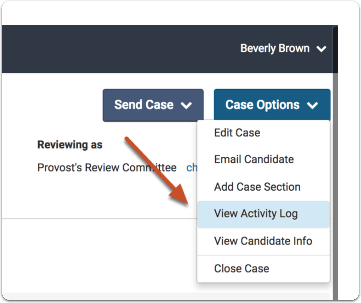 The case log records all activity including when a case is moved to a different review step, when documents are shared, messages are sent, changes in the status of the case, when the membership of the committee is changed, when external evaluations are requested and more.